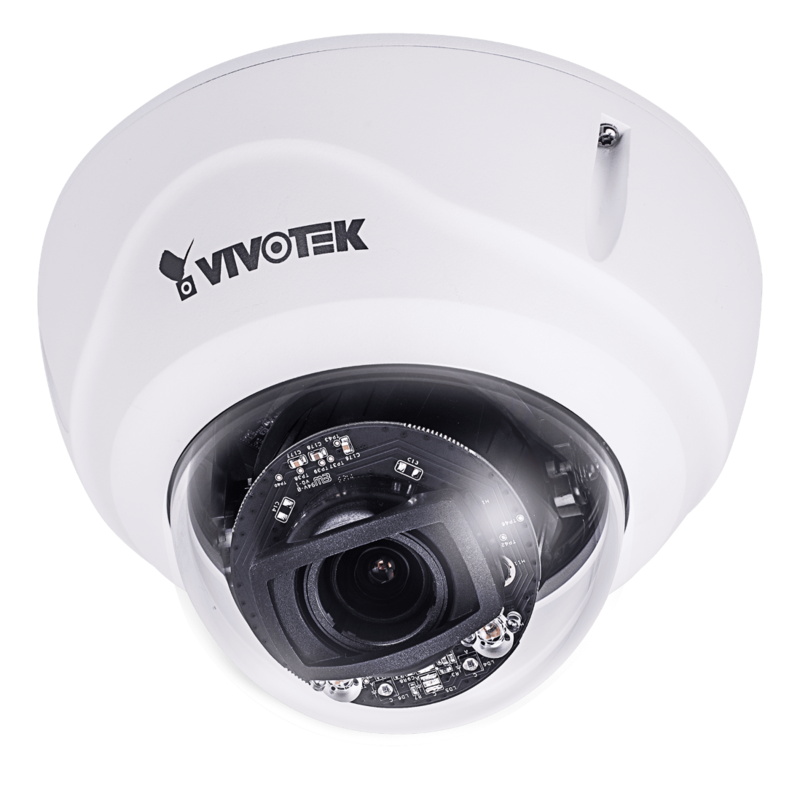 The FD9367-HTV is the new professional outdoor IR dome network camera from VIVOTEK, equipped with a full HD sensor capable of 1920x1080 resolution at 30 fps. With the most updated VIVOTEK SNV and WDR Pro technology, the FD9367-HTV is capable of capturing the highest quality images in both low light and high contrast environments. The FD9367-HTV also offers great image in night time surveillance technology. By adopting Smart IR II technology from VIVOTEK speed domes, the FD9367 IR illuminators now align with the remote focus lens' focus angle to provide the best IR image quality at any lens setting. This feature optimizes IR intensity, reduces IR hotspots, and increases the IR effective range up to 30 meters. Additionally, the FD9367-HTV employs VIVOTEK's Smart Stream III technology and H.265 compression codec, reducing bandwidth more than 90%* while still maintaining excellent image quality compared to traditional H.264 without smart streaming. Furthermore, the VIVOTEK VADP (VIVOTEK Application Development Platform) allows users to add customized programs for various applications and user scenarios. Protecting all these features is the FD9367's IP66 and IK10 rated housing.